In 1990, Lori Schneider, long term friend and employee of Brown Family Dentistry, and I made our first mission trip to Haiti. 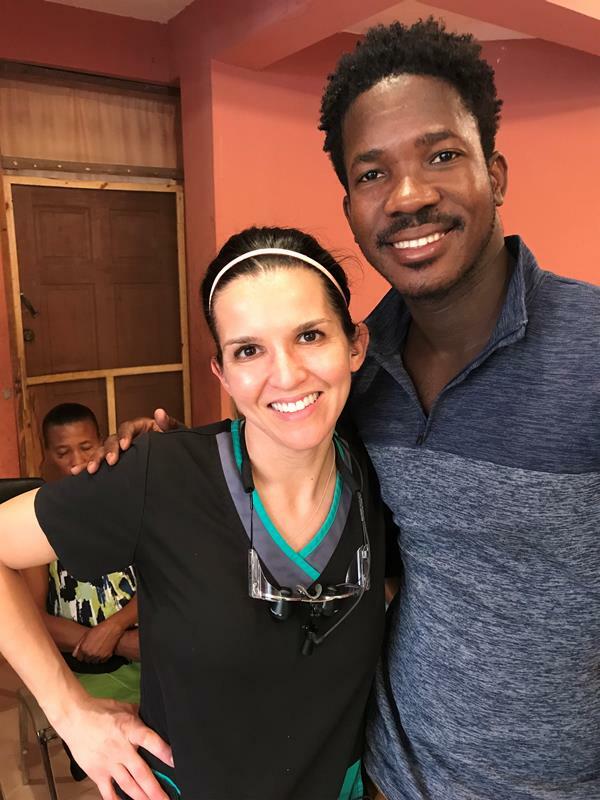 In the spring of 2012, she and I returned to Haiti on a dental mission with a dentist who had established a dental clinic in Baudin, a small mountain village. 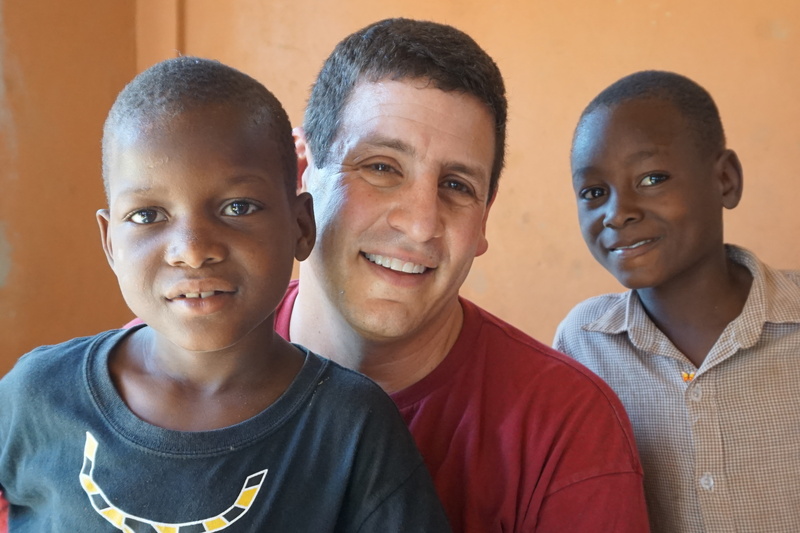 We worked hard and learned a great deal about establishing a clinic in Haiti. On that same trip, we traveled to Hinche, where Lori had been on many medical mission trips before. 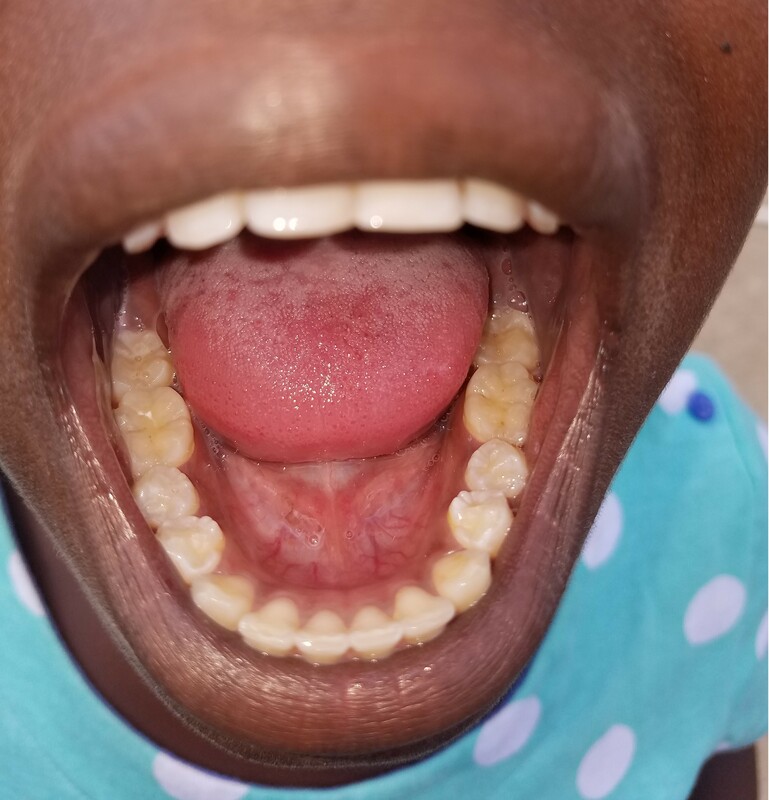 We explored the possibility of establishing a dental clinic with Pastor Lavaud Cheristin, a Haitian minister, who is the head of a Church, two schools and an orphanage in Hinche. Upon our return to the US, we spoke to many groups and began fundraising for dental equipment, supplies, and financial donations. In Nov. 2012, after a great deal of hard work and prayer, we had our Grand Opening in Hinche and our first dental mission with our “new” 4 chair clinic. 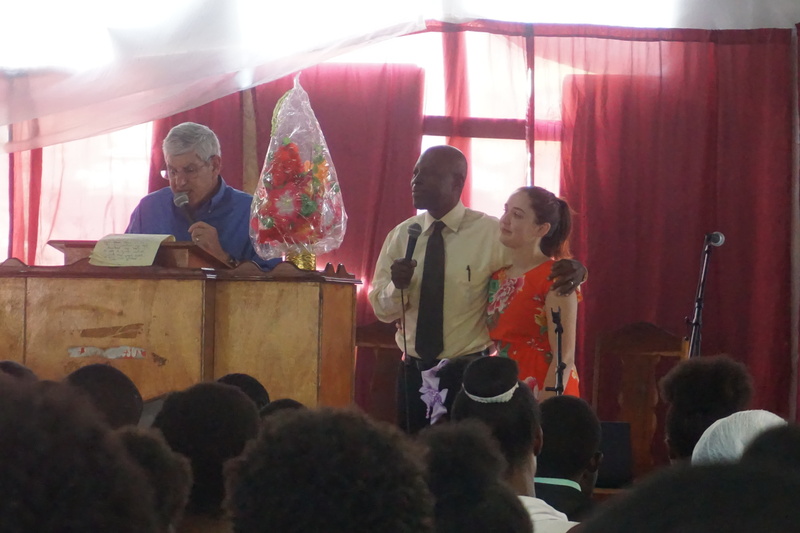 To date, we have completed sixteen mission trips to Hinche. Our most recent trip was in January 2019. We now have a very operational 11-chair clinic! Our dental teams usually include 16-18 people and have been comprised of general dentists, oral surgeons, endodontists, hygienists, assistants, handymen, electricians and various helpers. 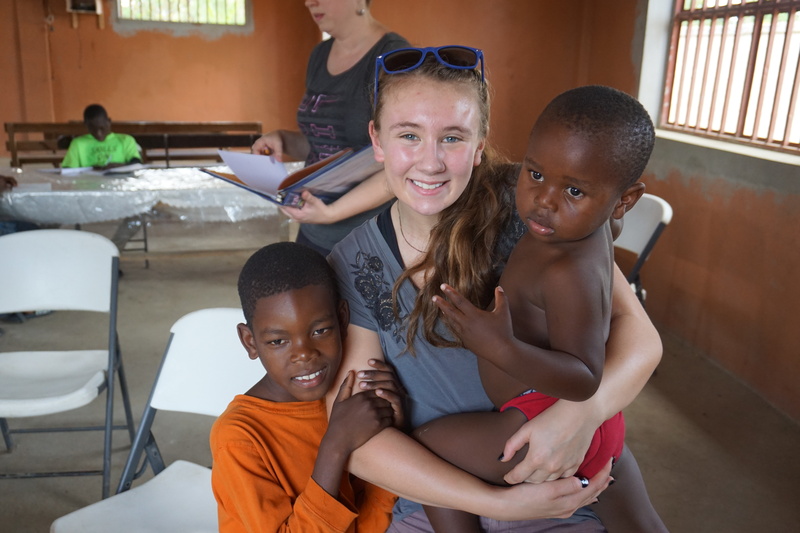 We have now had 127 different volunteers join our mission teams in Hinche! Many have returned multiple times. We learn, adapt, grow and improve each trip. 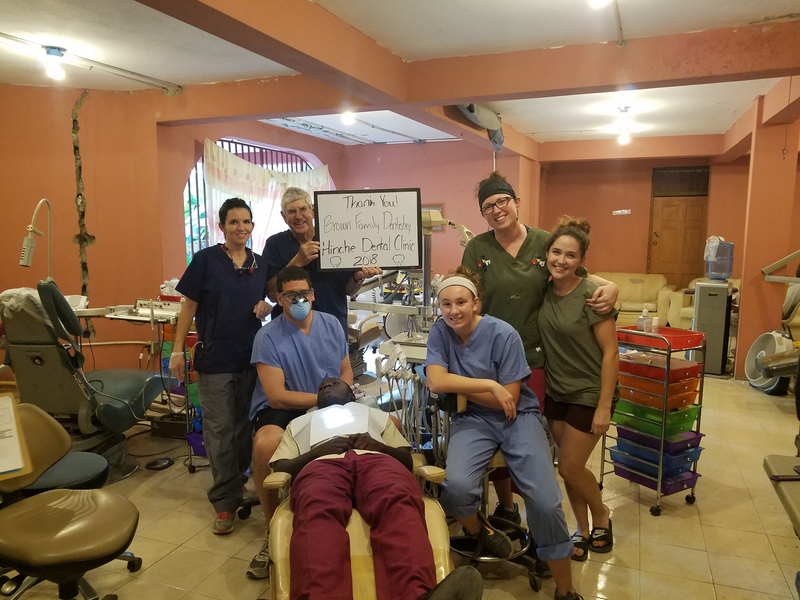 Over our first 16 missions we have performed: 3820 restorations, 2994 extractions, 82 root canals, 1545 cleanings, and 3003 fluoride varnish treatments and 400 Silver Diamine treatments (new in 2019). In today’s US dollars and within a + or– range of 15%, we have provided $2,393,500 of donated service. Although these numbers are very important, the true value is in sharing our gifts and talents in Christ’s name with our Haitian friends. The clinic provides opportunities for employment and skill development to local Haitians. We have an eager staff of interpreters who translate, provide dental education and even go to the schools and orphanage and apply fluoride varnish treatments. Our sterilization processes are now totally run by a Haitian. In addition, local Haitian dentists and dental students have been observing and assisting at our clinic. 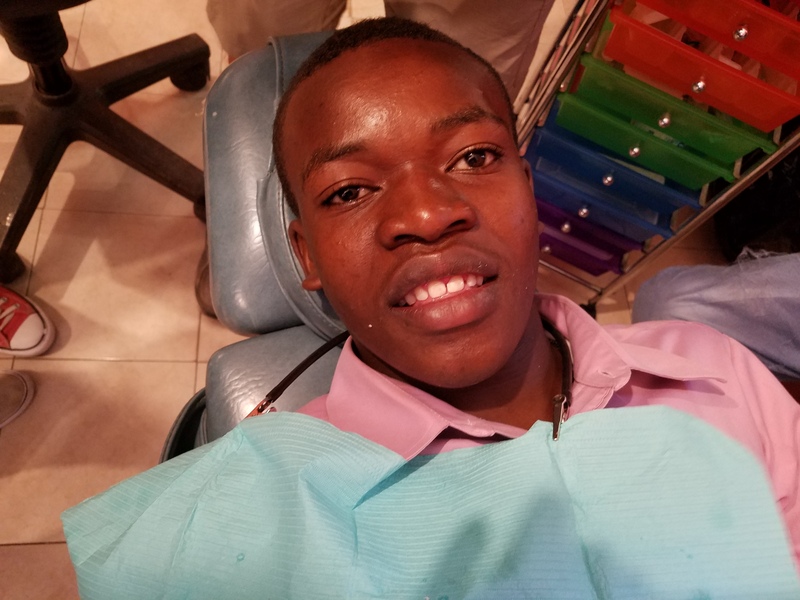 In January 2019, for the first time, a Haitian dentist helped us with exams and cleanings. We believe that our impact is far reaching in the Hinche area and we are laying the foundation for continued improvement in oral health. Our team at Brown Family Dentistry is an integral part of the success of the Hinche Dental Clinic. In addition to the many trips made by Lori and myself, Dr. Dawn has made five missions and Dr. Tip, twice. 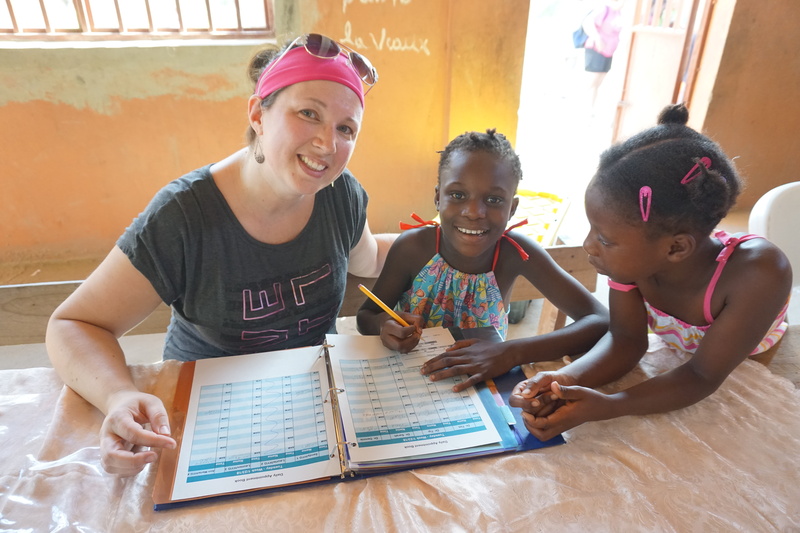 Other BFD team members that have been to Haiti with us are: Leesa Blank (8), Lisa Blohm (2), Krista Molitor (1), Heather Meyer (1), Samantha Demler (1), Jessica Cook (1) and Lauren Vogelsang (2). Drs. Tip and Dawn’s son, Carter (3) and daughter, Ashlyn (1) (my grandchildren) have also worked with us in Hinche. Please view Carter’s videos below. The first was made after his second mission in January 2017. The number of services provided in the video does not reflect the last 5 mission trips. 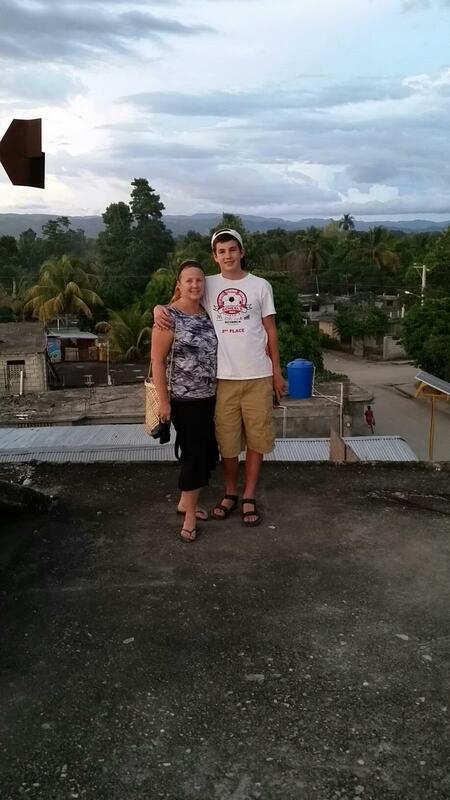 The second link is also by Carter Brown after the May 2018 mission trip. Our mission trips would not be possible without all of the prayers and the wonderful donations from all of our supporters. THANK YOU! Past donations have helped us establish and improve the Hinche Dental Clinic. 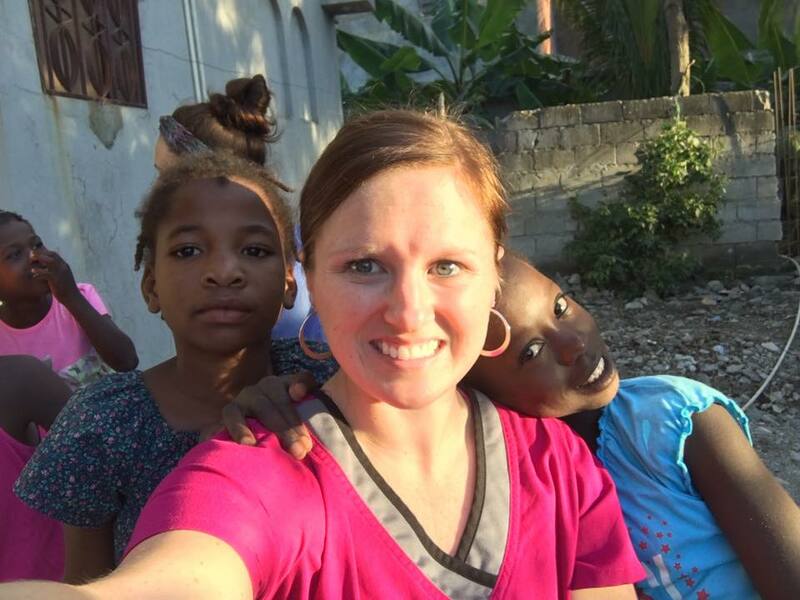 We promise to continue to work hard to utilize our clinic on many mission trips to follow. To do so, we DO need continual financial help. 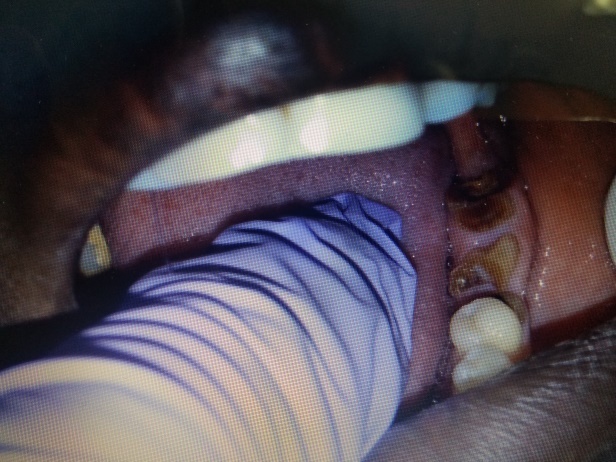 All donations help us provide desperately needed dental care to the Haitian people. Donations are tax deductible. No donations are too small. Hinche Haiti Dental Outreach, Inc.
996 S. Green Bay Rd. P.S. We also send out two e-newsletters per year. If you would like to be on this confidential list, please let us know via e-mail to tbrown1821@gmail.com. Good teeth! This is one of the children from Pastor Lavaud’s orphanage. 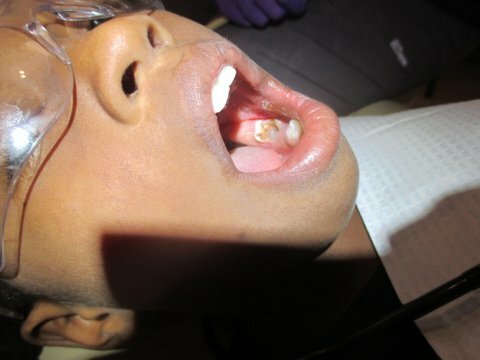 Although not every one of the 58 orphan’s teeth look quite this good, 90% of them are now decay free! It demonstrates our preventive measures over the last 5+ years of regular fluoride treatments (they now have toothbrushes), eating and drinking less sugar and timely restorative treatment. It’s really paying off. These photos are of older students from a school of which we have not treated children in the past. 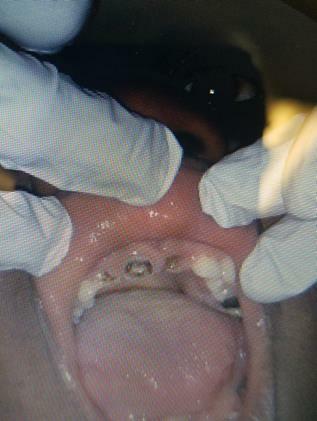 These infected and painful teeth were removed in January 2018. 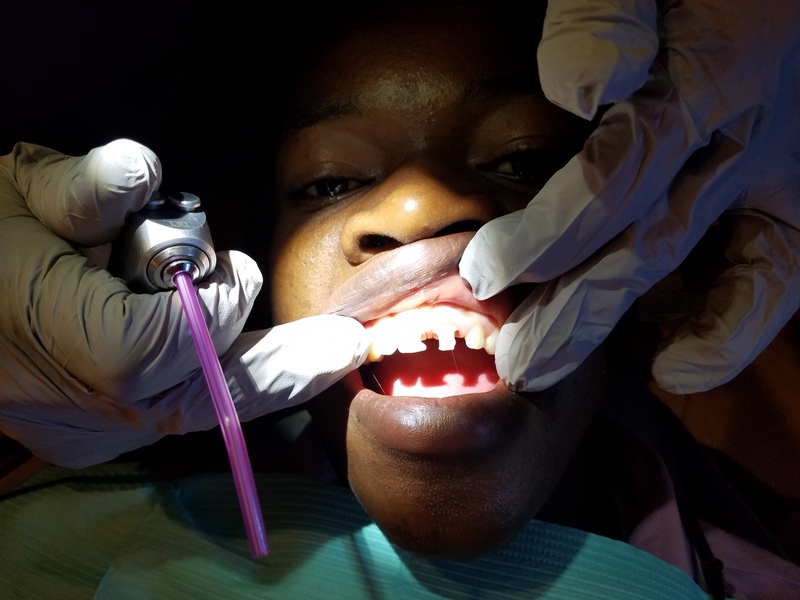 We restored other decayed teeth on these children and in the future we will make a partial denture to replace the missing front teeth. These photos show some of the beautiful restorative treatment from a member of our team. Ashlyn Brown having fun with children. Jess getting help making appointments. mom was having teeth restored. 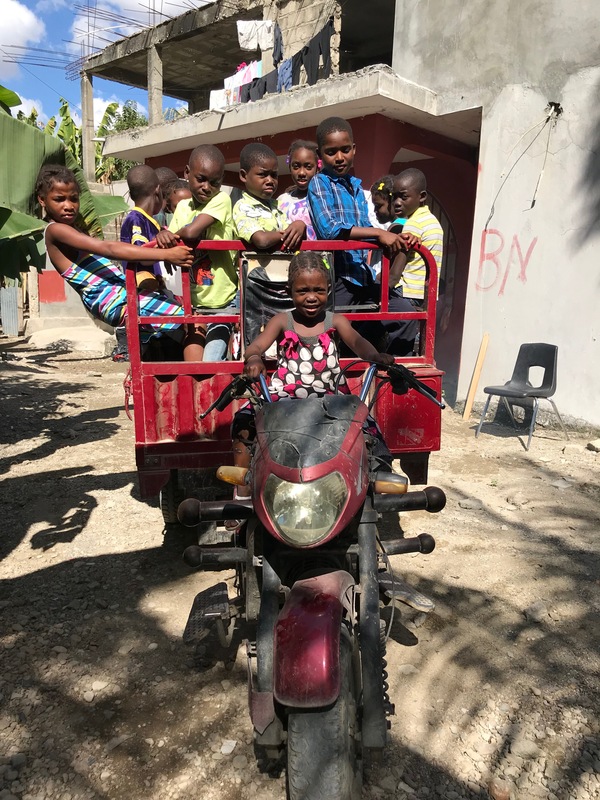 orphanage to the clinic in this motorcycle/wagon. It is about a 5 mile ride and the children loved it. Dr. Dawn and her son, Carter Lauren and Michael in the clinic between patients. 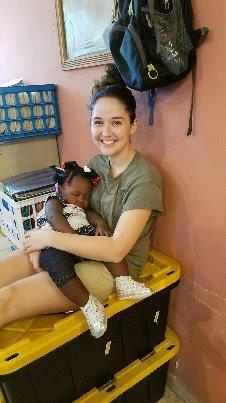 Lisa making friends at the orphanage.